Four Australian non-profits using technology to tackle social challenges will be chosen to receive $500,000 grants to make their ideas become reality. Google has announced the ten finalists from which the four will be chosen. These are all incredibly worthwhile and innovative projects that use technology to make a big impact on important causes – ranging from tackling environmental crises to making education more accessible to helping Australians better manage their own health and assisting people in need. 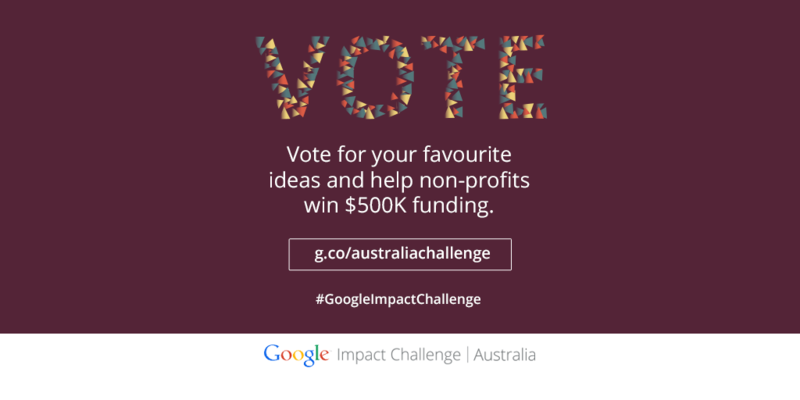 Google are now asking Australians to vote for the finalists that inspire us the most. They’ll announce the winner of the public vote, and three additional winners selected by a judging panel, on October 14.